Display small decorative items, photos, or miniature plants atop this set of two wall-mount shelves. 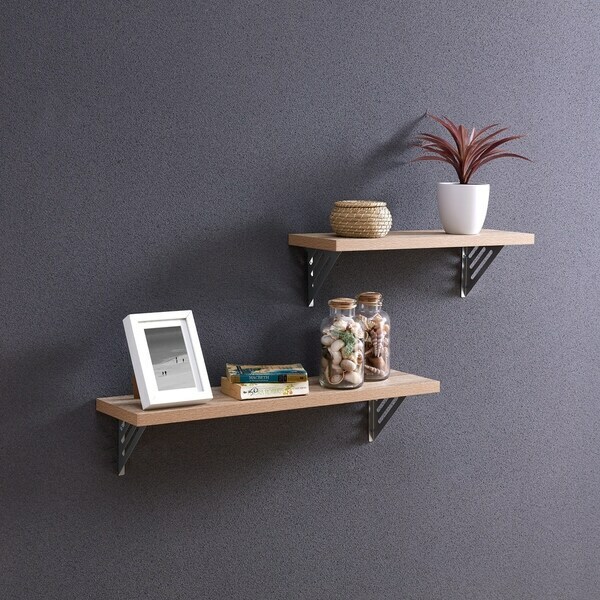 These shelves come with iron brackets and hardware for secure mounting and lasting sturdiness, with a natural finish resembling wood. Dimensions 11.0 In. X 36.0 In. X 4.75 In.